The Cinderella movie has been released and as excited as I am about it, I still haven't had the time to see it. Regardless, it looks so good and has inspired me in a delicious way. 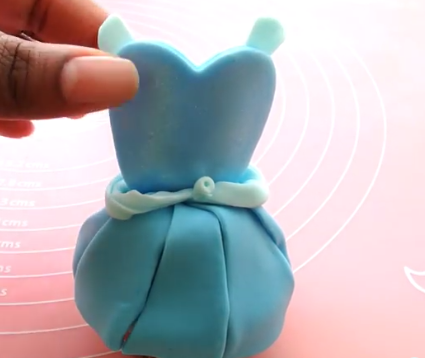 I have been wanting to do a Princess dress cupcake for some time. So much so that I told myself that the next fairy tale movie that comes out, I'm on it. 1. Prepare your cooled cupcake by piping out a mound of frosting, then smoothing the sides to create a mountain shape. Make sure that the frosting is thick enough to stand and support the fondant. 2. 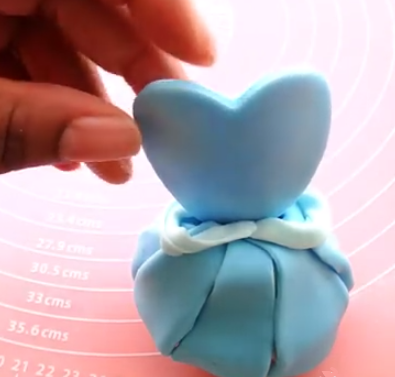 Roll out the darker shade of blue fondant and cut out a heart shape with a cookie cutter. Set the heart aside to harden, preferably on a rolling pin to create a curve. 3. 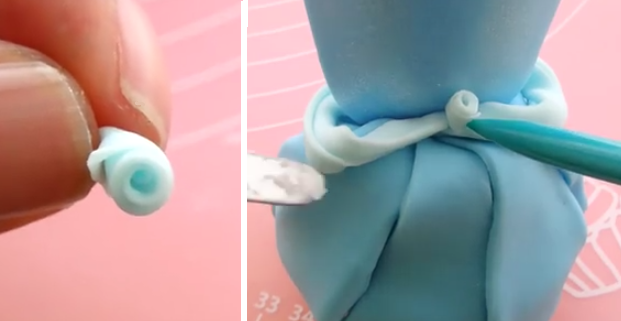 Roll out a small piece of light blue fondant to cut out the sleeves. Set these aside to harden as well. 3. Again, roll out the darker shade of blue and cut into triangular shapes. These will be placed on the cupcake thin side up and thick side down. Place the first piece on the cupcake as shown below. For the second piece, roll the sides slightly inward and place on the cupcake making sure to overlap the first piece. 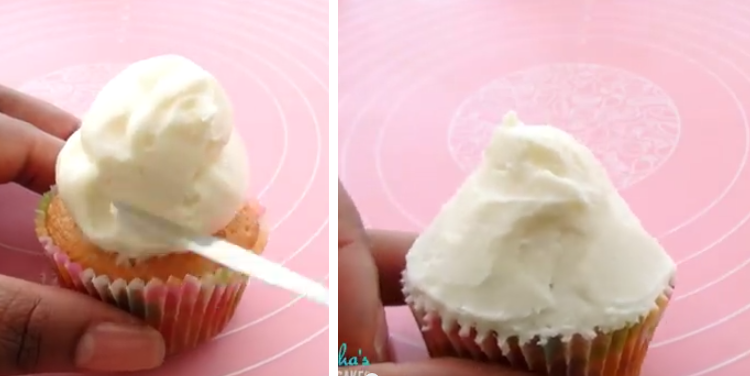 Continue this method until the cupcake is covered. 4. With clean scissors trim to even out the dress. Using a small knife or spatula (preferably an X-acto knife) carefully and slowly cut a small slit at the top of the cupcake large enough to fit the base of the heart. 5. Optional: Dip a dry paint brush into silver shimmer luster dust and brush onto the heart to give the dress a magical sheen. 6. 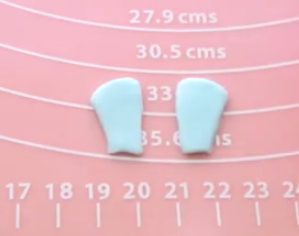 Thinly roll out the light blue fondant and cut two long, thin rectangles. Gently crease the rectangles long ways to and drape on the sides of the dress, meeting both ends in the center. Use water to glue them down. 7. Once the heart has hardened, carefully secure it into the slit made on top of the cupcake. 8. 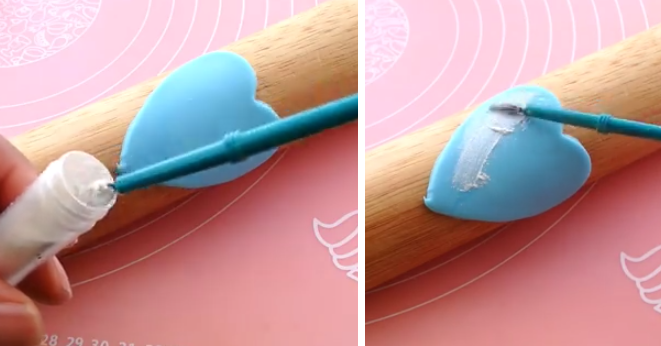 Lastly, roll out a small piece of light blue fondant, and roll from one end to the other to create a rose. Place this in the center to hide the seam. Then, with a dab of water, attach the sleeves to the dress. 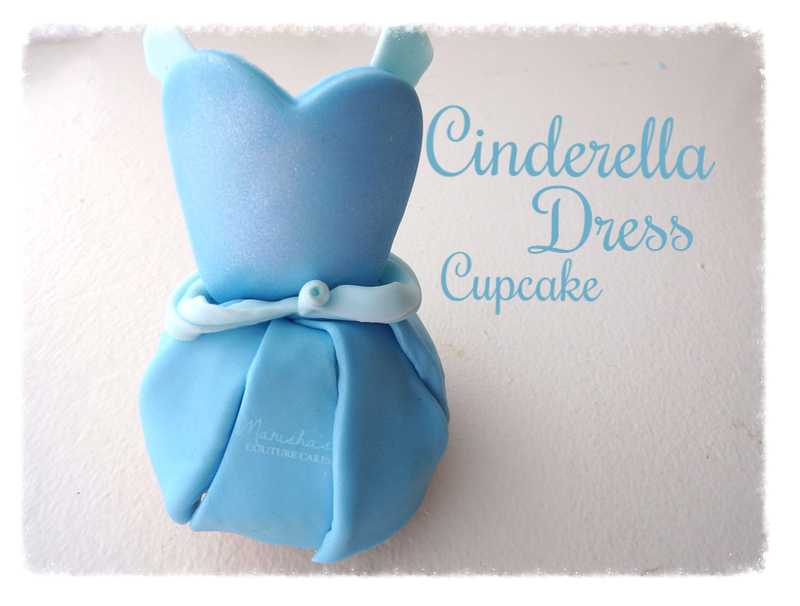 With the touch of a magic wand you've got a beautiful Cinderella Cupcake Dress. I hope you guys try this out. Click below to watch the tutorial.